The novelist Franco Lucentini, who achieved success with Carlo Fruttero in a remarkable literary association, died on this day in 2002 in Turin. 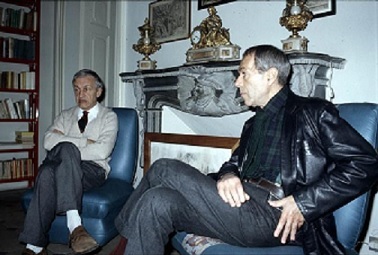 A news correspondent and editor, Lucentini met Fruttero in 1953 in Paris and they started working together as journalists and translators. But they were best known for the mystery thrillers they produced together, which they composed in a businesslike manner. After choosing a subject they would take it in turns to write and then edit the material until a novel was complete. Their most popular books were The Sunday Woman (La donna della domenica), which was later made into a film and The D Case (La verita sul caso D), which was based on an unfinished work by Charles Dickens, The Mystery of Edwin Drood. Lucentini fell foul of the Fascist regime while studying Philosophy at the University of Rome because of distributing anti-war messages among his fellow students and had to spend two months in prison. But after the Second World War he was hired by the Allies to work as a junior editor for their news agency in Naples. Lucentini then went on to work in Rome for Italy's ANSA news agency. After Fruttero and Lucentini met, they formed a successful literary team, writing, editing and translating for the Einaudi publishing house. They produced several novels together after the success of The Sunday Woman and F& L went on to become a well known literary trademark. But in 2002, suffering from lung cancer and having reached the age of 81, Lucentini chose to end his own life on 5 August at his home in Turin. 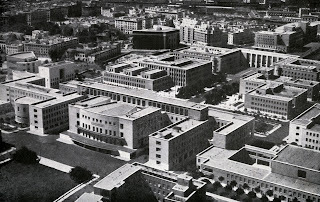 The University of Rome, where Lucentini studied Philosophy during the Second World War, was founded in 1303 by Pope Boniface VIII. Now known as the Sapienza University of Rome, it is one of the largest in Europe. The main campus, which was designed by Marcello Piacentini, is near Rome’s Termini railway station. Turin, where Lucentini lived in later life, is the capital city of the region of Piedmont in the north of Italy. It is an important business centre, particularly for the car industry, and has a rich history linked with the Savoy Kings of Italy. Piazza Castello, with the royal palace, royal library and Palazzo Madama, which used to house the Italian senate, is at the heart of royal Turin.